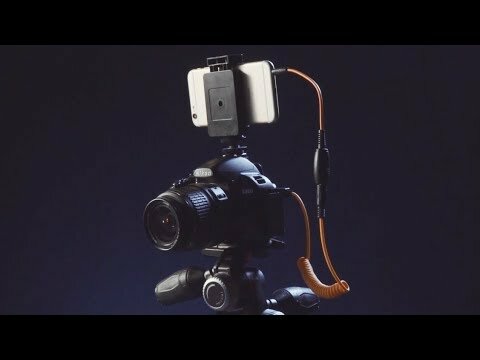 With MIOPS Mobile Dongle, you can connect your camera to your smartphone. The MIOPS MOBILE application utilizes the smartphone's capabilities to offer creative modes like Vibration, Sound, Motion and Distance or even various Timelapse modes to trigger your camera. It also provides basic shutter release modes like Press&Hold, Press&Lock, Timed Release, Self Timer and HDR. The most extraordinary feature is what we call "Scenario" mode which combines any of the available trigger options to create magic. Moreover, you can schedule your desired mode or sequence to fire at any time while you step back and enjoy your life. You can take photos with your DSLR or mirrorless camera using various modes within the MIOPS MOBILE smartphone app. Its refined user interface is easy to use and readily adjustable to fit your needs. Just select the desired mode and leave the control to your smartphone. It will fire your camera while you relax. The Miops Moible App is available for Android and Apple iOS.